Keith was pronounced dead at 16:41 on December 12th 1994 at Princess Alexandra Hospital in Essex, UK. 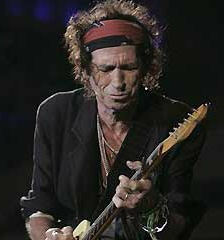 Keith was 50 years old. He was taken to the hospital after swallowing more than his own body-weight in pills and was allegedly dropped off anonymously by someone driving a silver Rolls Royce with the license pate MJ1. How is it that Keith has joined the ranks of the undead? We have theorized that the sheer quantity of drugs put into his system over the years led to Keith not needing respiratory or neural function to exist and that he had in fact been clinically dead for a number of years before it was officially recorded in 1994. 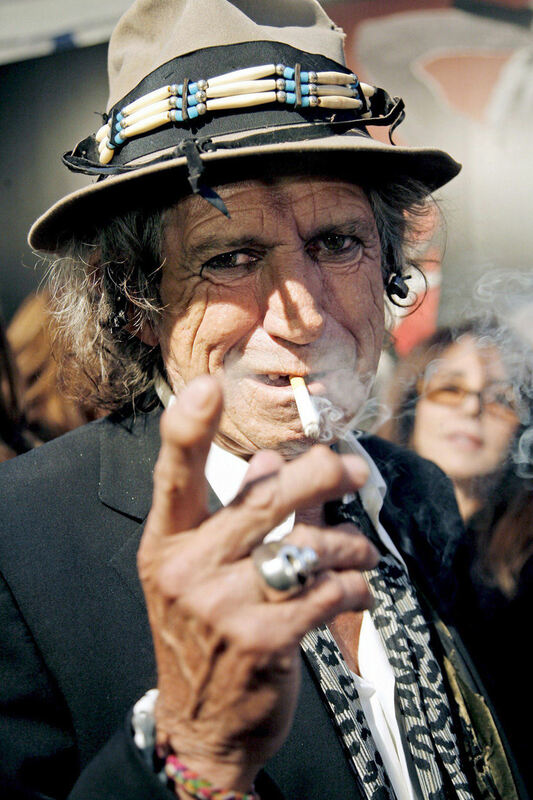 By definition, Keith Richards is a zombie. Not a flesh eating George A. Romero zombie, but undead none the less. Nobody knows how or when his zombiefication occurred but we do know that he wears his trademark bandanna to keep the skin from peeling from his face while performing on stage. "This bandanna keeps the skin out of my eyes"
None of the other Rolling Stones were available for comment, but their official spokesperson contacted our office to deny that drummer Charlie Watts was replaced by a robot lookalike during the 2002 LICKS tour.